It has been exactly 1 year, 5 months, 18 days and approximately 6 hours since I decided to take this whisky thing seriously. And by that, I mean graduate from the occasional drink to thinking about what goes from barrel to bottle; let the spark of a passing hobby grow into a flame that fuels a passion for that liquid gold that connects us. For me, that has involved a lot of time spent reading blogs, the odd book, visiting distilleries and whisky shows, tasting all types of drams (dear liver, I am sorry) and, most importantly, talking to like-minded individuals. Introvert that I am, the talking part was (is) sometimes the most difficult for me. It has, however, been the most educational and rewarding part of the process, for obvious and less obvious reasons. As with anything, the whisky industry is full of smooth-talkers, humble brags over social media, casual name-dropping in conversation and pontificating about tasting notes. For those of us on their first foray into this arena, that can be intimidating to the nTH degree. What if they think my drink of choice is terrible? What if I can’t pick out the right notes? For anyone out there who might be worried about talking the talk, here’s an oldie but goodie on flavour wheels—or do as I do, which is say the first things that come to mind in a (hopefully amusing) word association/stream of consciousness that could pass for a Rorschach test of how my brain works. But the industry also has more than its fair share of people who are genuinely interested in exchanging viewpoints and who have been incredibly encouraging and supportive. The same people, who have spent far more time than I have in whisky circles around the world, have also sought out my opinions. Having spent most of my adult life as a woman in male-dominated industries, this experience is always pleasantly surprising (even if it shouldn’t be in this day and age). Before you start wondering where this self-indulgent retrospective might be leading, though… my first introduction and taste of Old Perth was the result of the kindness of strangers who decided to strike up conversation, ask me questions, challenge my perceptions, and then generously offer a dram out of their bottle behind the bar. So, before we dig a bit deeper into this bottling, we need to ask the question – where does this come from? That would be Morrison & Mackay, an independent bottler that was founded in the early 1980s in the Perth area, and is best known in the whisky space for its Càrn Mòr bottlings. Alongside these, in 2013, the company bought the “Old Perth” name from White & Mackay and relaunched this obsolete brand. Old Perth has its origins as a blend of Speyside, Highland and Islay malts, with the occasional North British grain, aged for between four and six years, and Morrison & Mackay has continued this tradition, with three NAS Old Perth bottlings (Original, Sherry Cask and Peaty) readily available. In the revamp, a number of limited release age statement Old Perth bottlings have also been produced – largely distilled in the 1970s, mid-1990s and early-2000s, with outturns of between 250 and 700 bottles. The exact composition of these bottles remains rumour and speculation, with very little information available despite putting my best stalking detective and badgering skills to work (emails have been sent to Morrison & Mackay to try to confirm said rumours, but to no avail). That is, with the exception of the 14-year-old whisky that is the subject of this review, which is the third release of this Old Perth bottling. Distilled in 2004, this is widely known to be a blend of 90% Macallan and 10% Highland Park, and is matured in a single sherry cask. Now before you hem and haw and immediately write this off—as I know many of you share a common (negative) view of the bottles coming out of these distilleries in recent years—pretend for a minute you are back at the beginning, before the cynicism settled in. On the nose: An overenthusiastic welcome – pressed grapes, rum raisins and maraschino cherries. It settles into the conversation, with hints of more subtle flavours fighting to come through—dark chocolate espresso beans and musty earth and vines—but the dark fruits won’t let you forget their presence. In the mouth: Surprisingly thin and incredibly dry. Christmas mince-meat, but the recipe’s gone a bit wrong; someone has been heavy handed with the brandy and the spices. If you can stay with it, dark chocolate, candied orange peel and a hint of vanilla comes through. The finish is quite long, and by now, the dryness probably has you searching for water. This one is… interesting. Interesting in that way that something is good but maybe not as good as the person who recommended it to you thought it was but you’re trying to be polite. This is a whisky that surprises and demonstrates the quality blending that went into it. It also goes to show the benefits of keeping an open mind, as many may have written this off immediately upon hearing the word “blend” or the whiskies that went into it. And that, once upon a time, quality trumped profit margins and some of that excellence still exists in the world. All that said, a big thank you to those who introduced me to this bottle, at which I wouldn’t have otherwise looked twice, as well as for the opportunity to get involved in the conversation. For an outturn of 675 bottles, you could argue in today’s whisky economy this should have been priced higher than its average £130 a bottle. On the other hand, that is a statement of where we are today, and my reality is that this is probably on the top end of what I think is reasonably priced for a 14-year-old blend. The more drams we try, the more I think we are compelled to search out something…more: more unique, more rare, more value for money, more than what the average Joe would ask for, in order to distinguish ourselves and, at the same time, to keep up with the Joneses (or the bloggers and Instagram influencers). But I’ll echo other Malt writers in encouraging you to try for yourself, make your own opinions and, most importantly, keep the conversation going. Bring people into the conversation or, if you are quieter like me, take the leap and get involved! 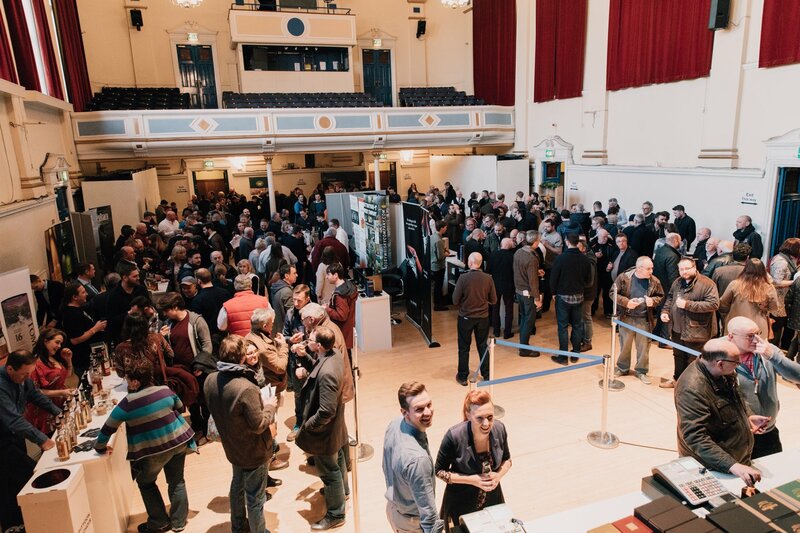 Whisky is a community, and one to which we should not hesitate to welcome people! You never know who might have the most interesting things to say! Photograph kindly provided by Master of Malt. A woman of two worlds, TV splits her time between London and NYC. Despite an action-packed travel bucket list, she will always try to find time to yoga, box and post about her favourite drams and bottles as The Wandering Whisky. Thanks for this article, TV! I think people are too quick to tell us what we “should” like and it’s usually because we’re not the loudest voices in the room… I frequently do tastings with someone whose opinion I trust but has a completely different palate than mine. I also like that you reviewed a bottle that is actually attainable (well, somewhat)… Really looking forward to the articles to come – maybe on some of the sub-£100 bottles, if you find them! Thanks Michael! Watch this space for some sub-£100 bottles for sure. I’m lucky to have a group of people that I often taste with who are very good at sharing and listening to opinions. And I try to remember that the loudest people in the room may not always have the most to say!